A sweet and savory recipe just in time for grilling season. Also great for those who are on a low-carb diet! 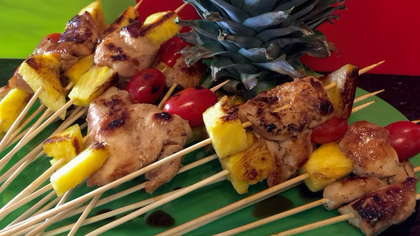 Discard any leftover marinade or unused pineapple chunks.